The Gippsland Lakes, located in south-eastern Victoria, are made up of a series of shallow coastal lagoons separated from the sea by broad sandy barriers. They include Lake Wellington, Lake Victoria, Lake King and a number of smaller lagoons and wetlands. These Lakes are fed with freshwater from five main rivers – the Latrobe and the Avon flow into Lake Wellington, the Mitchell, Nicholson, and Tambo into Lake King. The Lakes form the largest navigable network of inland waterways in Australia. They contain a number of internationally significant wetlands and support a diverse range of flora and fauna. There is evidence that the Gippsland region has been occupied by people for more than 24,000 years before European settlement. At the time settlement it was estimated that there were about 3,000 Aboriginal people from the Gunaikurnai clan were living in Gippsland. Since then, the region has been explored, settled, farmed and used for a range of purposes. The Lakes flow into ocean at Lakes Entrance through the permanent entrance established in 1889. 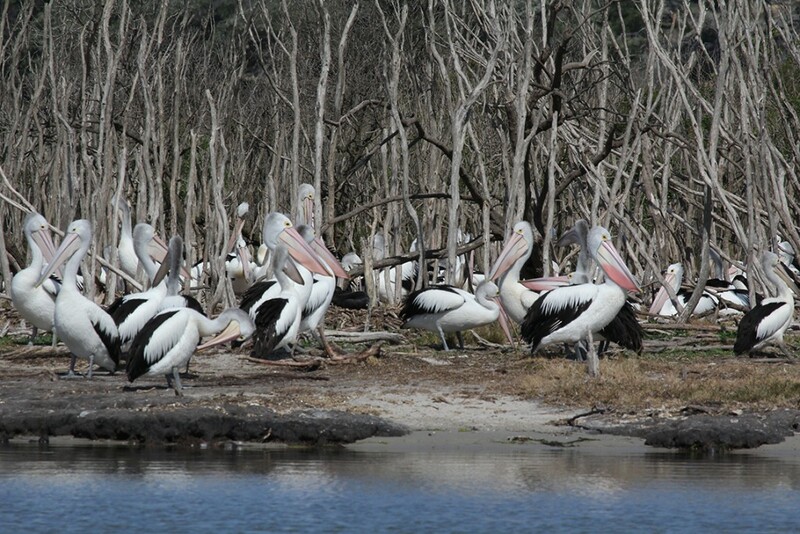 The Gippsland Lakes are home to around 400 indigenous plant species and 300 native wildlife species. The Lakes are internationally recognised as a feeding ground for migratory birds that travel from as far away as Siberia and the Arctic Circle. The Lakes catchment is home to an abundance of wildlife that includes a wide range of threatened species. Weeds and pest animals can place significant pressures on these threatened species as well as other common plants and wildlife, soil stability, waterways and agriculture.